Even writers experience moments when we’re at a loss for words. 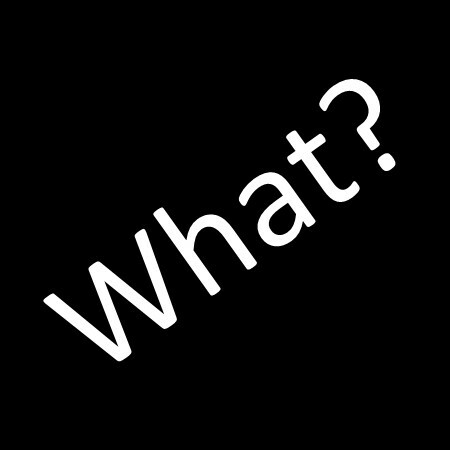 Have you ever been in a group or even one-on-one with someone, and he or she says something so incredibly outlandish that your brain is baffled and you’re rendered speechless? And then there are times when someone is doing something that is wrong. Do you say something? Ignore it? Walk away? I guess in that situation it really depends on how close you are to the person, and what exactly it is that’s being done. I think most of us would find some way to cover an incoherent or injured, partially naked stranger. But will we tell our friend that her boyfriend is cheating on her? And then there’s a writer’s life–writing. We often get to a spot in one or more of our books (and maybe more than one spot) where the words refuse to come. We’re staring at a blank page (either physical or on the computer) and the characters will not share. Now to a “normal” person that sounds weird, but to all the writers out there…well, our characters talk to us, and when they don’t, we want to know why. Most times we ask. What I usually find is that I’ve sent them in a direction they do not wish to go. And trust me, if they don’t want to go, they won’t…at least not without some blood and tears. Sometimes a lot. Fortunately, my latest release, Broken Valentine, (2/12/16) was not like that. I started the novella just before New Year’s Day and finished it just in time to release it for Valentine’s Day. And it even got edited. :) I managed to write over 10,o00 words, which is just a quarter of this story, in one day. That was awesome. I celebrated–because I’d never done a 10k day before–and then collapsed from exhaustion. What about you? What have you done that caused you to celebrate and then collapse? Comment before 2/28 at 11:59 pm for a chance to win an e-copy of Broken Valentine. In addition to that, your comment will add your name to the drawing to win one of the awesome book sets that we are giving way for IR’s second birthday. Check out our giveaways page for more information. 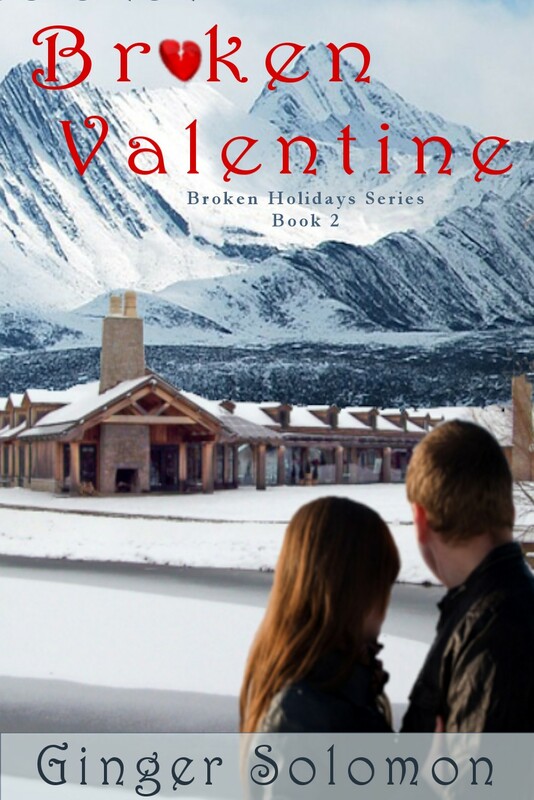 Broken Valentine is the second book in the Broken Holidays Series, but can be read as a stand-alone. Hi Ginger! Great post. :) I’d love to read this story. So glad the words flowed for you. LUCY!!! How goes it, mate? Thanks for the encouragement. Ten thousand words in one day is quite impressive, Ginger. The most I’ve ever written in a day was 4500….you’ve inspired me! I look forward to reading Broken Valentine. The cover is intriguing. Wow what an accomplishment! Can’t wait to read this book! Congrats Ginger on your tenacity as a writer. Not sure I could write 10,000 words. I enjoyed the novella Broken Valentine and wrote the following review on Amazon. The theme in Broken Valentine: “And we know that in all things God works for the good of those who love him, who have been called according to his purpose.” Even though the small town judgmental and overbearing attitude and actions of both sets of parents in the 21st century may be somewhat unbelievable. The couple took God at his word and made the best during difficult circumstances. Broken but restored. Surpassing goals is always an achievement and most goals leave a person exhausted. While in my late 30s and living in Chicago, I walked 30k (18 miles) for March of Dimes. I am not athletic or exercise regularly. As a busy mom, pastor’s wife, and teacher, I did not have time to prepare. Also it was almost a mile walk from the parking garage to the starting point. On a cool April Sunday morning, 6000 walkers left Grant Park. Walking along Lake Michigan was uplifting. I was about 1/3 of the way when some people where already returning. I started at 8 in the morning and finished at 3 in the afternoon. Celebrated, but exhausted. Then the mile trek to the car. The next day climbing the stairs at school was painful. Thanks for posting an honest review, Renate. Congrats on finishing that walk. Shew! That’s impressive. When I first met my husband, he said something that I felt was rude so I told him to drop dead. Luckily, my whit intrigued him and we’ve been married 26 years now. Sometimes I wish I didn’t have words to say. It would keep me out of trouble. True that, mylittlegrayhome. Sometimes our mouths get into so much trouble–at least mine does. Sometimes there just isn’t anything to say.. just a hug or holding their hand. Would like to read your book..
That’s true, DK. Good luck. Sounds like a great read! Great job on 10,000 words in one day! Thanks, Beth, on both counts. I don’t know how I could do what I do and have a full-time job. My hat’s off to you, Kimberly, and others like you. Some days just doing the necessary is exhausting. But we persevere, because that’s what moms do, right? What an accomplishment to write 10,000 words in a day. I have Broken Valentine on my Kindle to read so I do not need to be entered in that drawing. Thanks, Nancy. I hope you enjoy BV. Hi Ginger. You are a new author to me. I love this blog as I have been introduced to a few authors I hadn’t known about before. Your book sounds great. Well, I’m glad you found me, Jennifer. I hope you enjoy my writing. I’m not a writer, but 10,000 words does sound like a lot for one day ! Would love to read the results of that effort. One reason I love being a writer is that I am not always witty on the spot in person. I often think of the perfect finale or comeback hours after prime time. As a writer, I can edit it in and have my characters seem quicker on the draw than I really am. A 10K day is quite an achievement! I think I’ve done it once. I usually get to a spot midway through a new story where the words start to flow and I can write 2-3 chapters in one day (6000-8000 words). I feel like a rocket ship on those days, but can’t keep the momentum for more than a few days before my brain collapses. Exactly, Valerie. 10k day = brain mush. I’ve so often read where authors stated that their characters won’t talk to them….at first I found it a bit strange, but I’ve since learned this is just a normal part of the writing process! I guess like people, you can’t MAKE them do what they don’t want to…haha! Congrats on the 10K day! Ginger, I love that cover. Beautiful. The most I’ve ever accomplished in a day was close to 7k. I didn’t even know my name by the end of the day. Congratulations on finishing! 7k is nothing to sneeze at. Thanks on the cover. My son puts together the background for me, and I work on the little stuff. You are a ‘new to me author’. I am thrilled for you that you wrote 10k words in a marathon night! The story line sounds intriguing. Best to you. Welcome, Cindy. I’m glad you found me. I hope you enjoy my stories. That is amazing I can’t begin to understand how you could do that. From someone who loves to read but hasn’t a clue how to write anything I’m impressed. I would love to read your book. Thanks for sharing your story. Sometimes we just have to dig in deep and never give up . I would be blessed to read your book. Absolutely, Deana. Never give up. Sometimes that means being still, and other times it means doing something, but it’s always worth it. I love the cover design. It draws you in to discover what they are looking at, and how does it relate to the story. I’ve often wondered about the writing process. How long does it take to write a book, edit and get it published? Glad your experience with this book was relatively quick. I know how rewarding it is to meet a personal goal. Way to go. Looking forward to reading both in this series. The writing process is different for each writer and even each book. Broken Valentine came about quickly. I have a book releasing in April that has been two plus years in the making. Sometimes the story is easy, and sometimes it pulls out our guts and puts them on display. Indie published books, like Broken Valentine, go quicker, whereas small presses usually run around a six to twelve month timetable, and the big publishers work on about an eighteen month timetable, but those are estimates and don’t include the initial writing time. I hope that answers your question, Lorraine. Before I read all of your wonderful comments, I want to post a quick apology. I dropped the proverbial ball today in staying on top of everything. I was posting on four different blogs today–just happened to be the way it fell, and I didn’t do a good job of keeping up. Just wanted to comment again that I started Broken Valentine yesterday evening and finished it last night since it was a novella. I enjoyed it so very much. It had a twist that I wasn’t expecting which made it that more interesting. I’m so glad you enjoyed it, Nancy. :D If you’d be willing(it’s okay if you don’t want to), I would love it if you would leave a review on Amazon and/or Goodreads. Thanks. Ginger I have already left a review on Amazon and it has been posted to their website. My daughter’s wedding caused me to celebrate and then collapse. All the pre-planning, the excitement of the event, then a collapsing relief. Beautiful . . . joy-filled . . . happily exhausted! I was a special education teacher for 30 years and every day I got home and collapsed. I celebrated the good days and was relieved when the bad days were over!! i applaud you, Linda. It takes a special person to teach special education, not because the kids are hard to teach, but because there are so many levels of need, and you (I assume) want to help each one in the best way possible and reach for that aha! moment. Wow. I can only imagine how your son felt. A hard decision for her, for sure. Thanks for stopping by. And sometimes I’m also surprised at some of the things people say. I think they just like hearing themselves talk, or like to be the center of attention, no matter how outlandish. I remember when my kids were little and all seven of them went with me… people would ask, “You do know what causes that, right?” I was tempted so many times to go into a spiel about the birds and the bees and see if they became embarrassed because they wanted to discuss my private life. I refrained, but sometimes only by the grace of God. Congratulations on the book and 10,000 words in one day is just incomprehensible to me! Some days I struggle to write coherent book reviews. I’m thankful God gave us all unique gifts, I make a mean chocolate chip cookie and they go great with good books (generously provided by you lovely Inspy Romance authors)! Thanks, Beth. Before I did it, it was incomprehensible to me, too. :D I find book review hard to write, actually. Most of the time, Amazon gets the minimum number of words. Chocolate chip cookies are AWESOME!